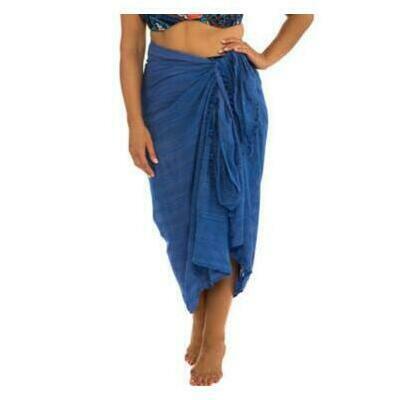 Sarongs are the handiest thing to have on summer holidays and day trips to the beach, around the pool and on the boat. Keep one in your beach bag for that emergency wrap around cossies, for when the the weather turns and to wrap the kids in too. So many possibilities. This cheap and cheery cotton sarong is big enough for a full body wrap and fine enough to be rolled down to nothing for your bag our summer suitcase. In white, black and blue. At this price, get a few and team them with your cossies this summer!